Heroku’s help wasn’t helpful enough, so I wrote this guide to get you (and me) though your first deployment. Heroku is a great option for deploying your apps. It’s especially attractive if you want to use a relational database, because PostgreSQL is free on Heroku if you’re a hobby developer. On other cloud providers like Google Cloud or AWS, you have to pay for your databases. That said, it took me a little while to get my barebones Django application running on Heroku. It was especially difficult because Heroku’s docs aren’t comprehensive. I had to stitch this workflow together with help from Stack Overflow. Here’s what you need to do to go from zero to deployed on Heroku with a Django application from the command line. I’ll assume you’re starting with an empty directory and nothing built yet. I’ll also assume you’re on Linux. Mac people, you’ll have to do some translating of these commands, but the workflow is the same. Windows people, I’m sorry. We’ll install other stuff as well, but these will allow us to create a virtual environment that’s clean and compartmentalized. That makes managing the dependencies Heroku sees easier. We’re going to make this myproject/ directory a special virtual environment with its own Python source and clean dependency tree. The command above creates a new virtual environment, using Python 3.6.8. The name of that new virtualenv is “myproject” — the same as the name of the directory. Now that we have a clean virtual environment, we can install the modules we’ll need to build our app. If so, we’re ready to create our Django project locally! Using Django’s typical naming scheme, I’m going to call our project mysite . You can use whatever name you want. After running that command, you’ll see a new folder named mysite/ in your current directory. Don’t worry about the “15 unapplied migrations” for right now. You can fix those later on once you have the database running on Heroku. This isn’t a tutorial about how to build an application with Django, so we won’t do anything more with Django. That startup screen is enough. 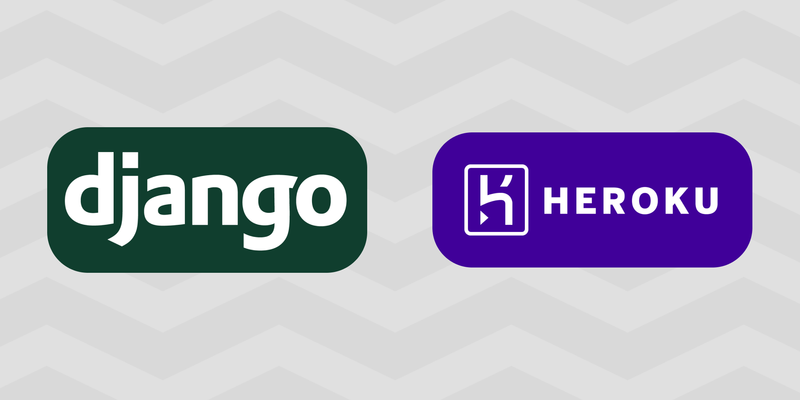 There are a few steps before you can start moving the Django app to Heroku. First time using Git? Google some getting started guides and follow these instructions to get set up. Learning Git is outside the scope of this guide. The Heroku CLI integrates with Git to allow you to track and push your local changes to your application on Heroku. You should be in the same directory as manage.py . Heroku will give your application a creative name like nameless-tundra-24632. If you want to specify a name, you can with heroku create ProjectNameHere , but it needs to be a unique name. Before we can push our Django app to Heroku, Heroku needs a little more information on how to run the app. How Gunicorn works is a topic for another post, but needless to say Heroku needs it so we’ll give it to them. This adds Gunicorn to your virtual environment so your Django project can use it. A Procfile is something unique to Heroku. It’s a file in your project’s root directory that tells Heroku how your app should start and run. In our case, we’ll use our Procfile to tell Heroku to run a Gunicorn server. The good news is Django comes with out-of-the-box support for Gunicorn servers, because they both follow the conventions of WSGI. In the Procfile, we’ll tell Heroku to start a Gunicorn server and then point that server to our Django project’s default WSGI interface. If you decided to name your Django project something other than mysite , then you’ll need to replace mysite.wsgi with your_project_name.wsgi. Django is a pretty popular framework, so Heroku has created a module called django-heroku that helps with settings, testing, and logging automatically. With the module successfully installed, we can now add it to our Django project’s settings.py . Open myproject/mysite/mysite/settings.py . Save settings.py , but don’t close it. We have more changes to make. Search your settings.py for an environment variable called STATIC_URL. Next to that setting, we’ll also need to give Heroku more context about where static files (images, scripts, etc) are stored. 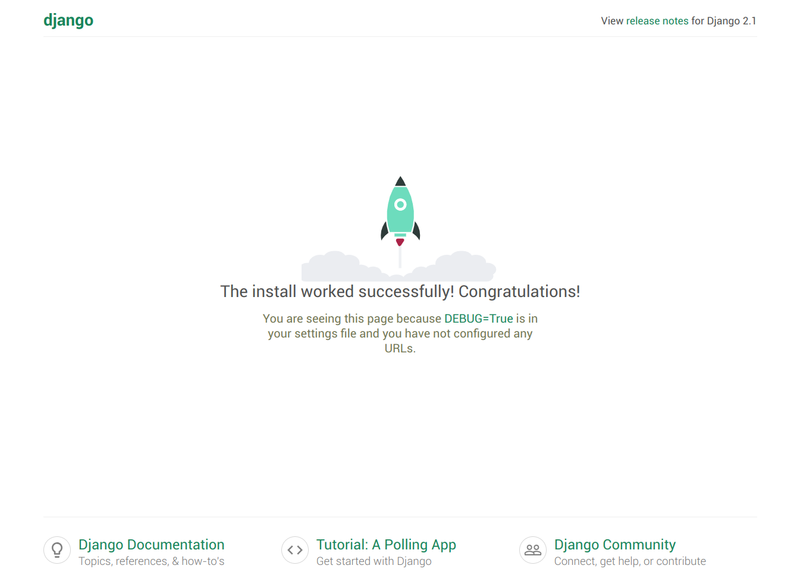 We’re almost ready to deploy our Django project! In addition, those packages have installed their own dependencies. You may not have realized it, but our little application has now installed 7 different modules under the hood that allow it to run. How do we keep track of all the modules we’ve installed? Easy! We created a clean virtual environment when we started the project, and we’ve used pip to install everything we need. So, pip knows what we’ve installed and can create a handy list for us. As you build your Django project, chances are you’ll find some other module you need. If so, don’t forget to pip freeze > requirements.txt whenever you deploy those changes. The final thing we need to do before deploying is tell Heroku what version of Python to use. Heroku defaults to Python 3.6.8 right now, so if you didn’t specify you’d probably be okay. That said, it’s best practice to be specific with the versions you’re using in your stack. Heroku (and many other cloud service providers) uses Git to deploy versions of websites and rollback any problems. We could deploy our application right now, but let’s clean up one thing before we do. Navigate to myproject/mysite/ and type ls -a. If not, find where you typed git init earlier and in that folder remove the .git file with rm .git. Then go back to myproject/mysite/ and run git init there. Now, you won’t bog down the deployment process with your log and cache files. We’ll keep Heroku nice and clean. In the future, in Part 2 of this guide, we’ll add db.sqlite to this list because we’ll be using a different database on Heroku. Let’s Launch!!! Django on Heroku FTW. Hopefully we covered everything and this will go flawlessly. Here’s what your myproject/mysite/ should look like: source code. As long as you’re in the myproject/mysite/ directory, this will add everything we’ve worked on — the entire Django project. git commit -am "Initialize Django project"
This will commit all the files you just added. Writing objects: 100% (3/3), 459 bytes | 0 bytes/s, done. remote:        119 static files copied to '/tmp/build_54c6d4edbd5faba2e2e1bb1dbd158e89/staticfiles', 375 post-processed. It’s likely you’ll find some helpful resources in the Heroku CLI’s error messages. If the CLI builds the site, but clicking the link results in an error, then checkout heroku logs --tail for more information about the errors you’re running into. If you’re really stuck, comment below and I and other Djangoers will try to help out. We have the Django startup page working on Heroku, but there’s still a major issue. By default, Django uses SQLite as a database. It’s a lightweight, open-source, awesome option for small to medium sized websites. But SQLite doesn’t work great on distributed cloud computing infrastructure like Heroku. So, we’ll need to set up a different database to use with Django on Heroku. Creating a Heroku PostgreSQL instance and connecting it to Django is the subject of a whole different post. Did I miss anything or mess anything up? Feel free to let me know in the comments below.